Blinds are something that appear to be in most households these days, but it is easy to overlook just how beneficial they are. Whether you are looking for inspiration on which blind is best for your room or are searching for reasons to try them for the first time, let’s discuss why blinds have become such an important part of everyday life. A huge advantage of using blinds in the home is the enhanced level of privacy they can give you. With blinds such as blackout blinds especially, you can fully cover a window space and have absolutely no worry of anybody outside being able to look into your home. Window blinds can supply you with an assured level of privacy that curtains, or drapes perhaps cannot. Alternatively, if you have French doors for example that you want to cover for optional privacy then a blind such as the vertical blind could be a great option. With vertical lengths of fabric that can be tilted at different angles, it can be your choice how much of your home you want on show to the outside world. Another great factor with blinds is that they can give you complete control of how much daylight you want in a room. There are a range of styles that can offer different levels of control and efficiency depending on the room and outside environment. For example, if light pours into your bedroom and wakes you up early every morning, then a blackout blind could be the perfect fix. They allow no outside light to enter the room when fully closed so you can sleep right through a bright sunrise. 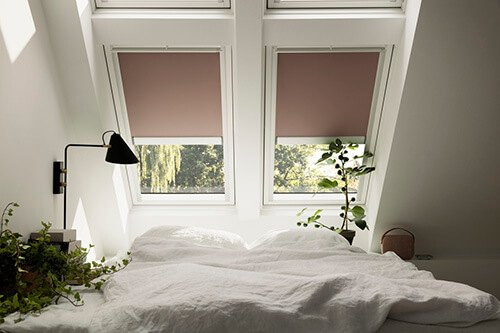 However, if you still want partial sunlight to highlight your home but want it to filter into softer light then a duo blind could be your perfect fit. It gives you the choice of having diffused sunlight with the semi opaque pleated layer or completely light coverage with the second blackout layer. Venetian blinds are also a great way of controlling how much light you want to allow into a room. They are designed with horizontal slats that tilt filtering different amounts of daylight in depending on the angle. Money saving may not be the immediate advantage you think of in terms of blinds, but they are an excellent way to lower energy bills. For example, many modern blinds are now manufactured using specialist materials that can considerably increase the insulation of your home and keep it at a constant temperature all year round. They are built to keep the heat out in the summer months and keep the heat in in winter. A downfall to blinds in the past is that they have come with the precomposed worry of extremely long-winded and difficult insulation. However, with impressive modern designs, blinds are now easier than ever to fit into your home and the time between buying and enjoying your new blind is incredibly small. 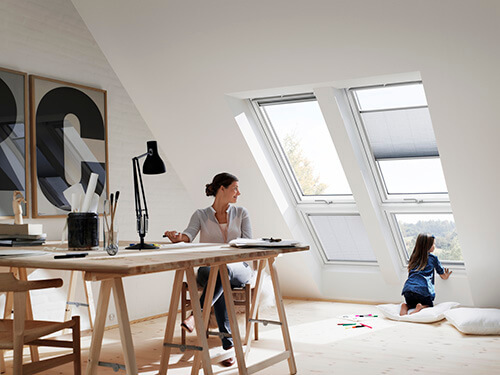 The blinds from Velux have especially efficient installation with a smart Pick&Click system meaning it literally is as simple as clicking them into place. Maintenance of blinds now is also a breeze and with better resistant materials, only occasional quick cleaning is necessary in comparison to curtains that can require lengthy upkeep. Blinds are not only highly practical but can be a great way to enhance the aesthetic of your home. Now available in a huge range of patterns, materials and colours you can use blinds as a stylish way to compliment the rest of your room design. Some blinds even come printed with images so can also double as an eye-catching piece of artwork. Another concern that may have been linked to blinds in the past is safety. Many wonder if blinds are completely safe, especially in an environment with children but with versatile new designing it is now safer than ever to bring blinds into your home. Many blinds now come with hidden hanging chords or no chords at all, so you can be rest assured that they are completely family friendly. 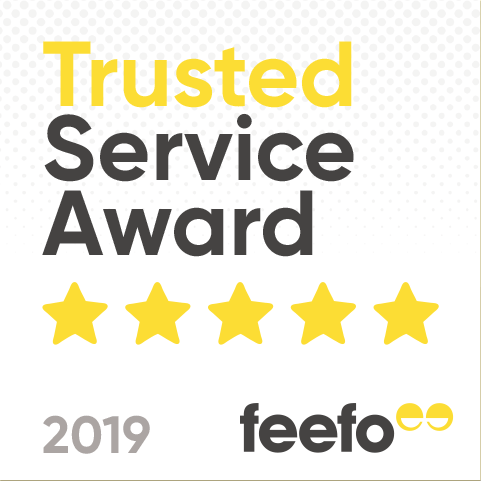 With robust builds and top standard materials used you also do not have to worry about them malfunctioning and breaking as blinds are now built to be stronger and more durable. Which Blind is Best for Me? Now with countless gorgeous styles of blind to choose from it can seem like a challenge finding the design that is best suited to your needs. Here are a few suggestions from our website to give you inspiration depending on what listed factors you are looking for the most. 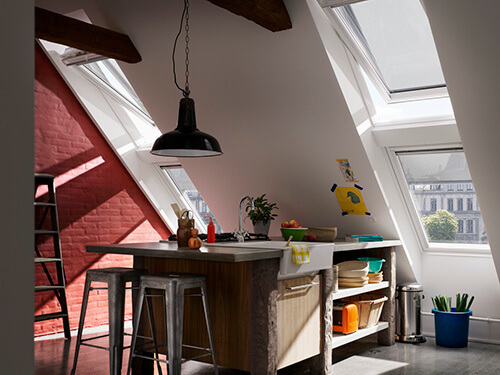 Velux Blackout Blind - comes in a range of colours, Pick&Click Installation, completely blocks view of room from the outside. Brite Blackout Blind – available in 8 different colours, hard-wearing fabric and complete coverage of window view. Velux Venetian Blind – comes in 9 classic colours, water & stain resistant, unique tilt mechanism gives user complete control of amount and direction of light filtering through. Brite Venetian Blind – comes with a 2-year warranty, 5-minute installation & aluminium slats that enables full control of light movement and intensity. 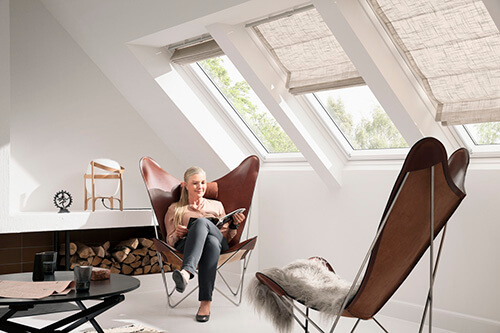 Velux Energy Pleated Blind – available in a wide range of colours, double-pleated polyester cloth that improves insulation by up to 34%, built-in aluminium honeycomb structure. 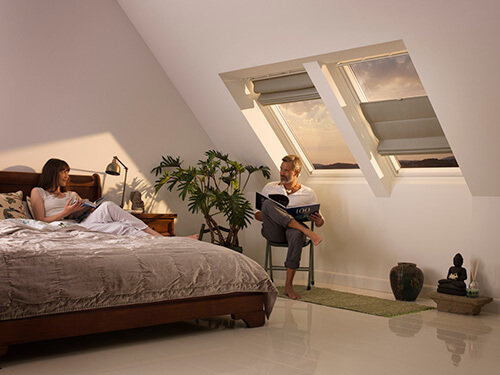 Velux Solar Blackout Blind – comes in 24 standard colours, reflective aluminium coating reflects heat in summer and retains heat in winter, option of complete blackout effect. Velux Venetian Blind – water & stain resistant, slats easily adjustable to clean around, fast Pick&Click installation system. Velux Roller Constructivist Pattern Blind – choose between 15 gorgeous colours & patterns, soft, inviting incoming light filtering, perfect for living rooms. Velux Blackout in Kites/Sky Blue/Pink Stars/Green Stars/Hot Air Balloons – eye-catching use of colour, available in a range of gorgeous designs, made from high-quality fabric. Star Wars Galactic Blackout Collection – made with no harmful chemicals, no dangerous long hanging chords, 4 eye-catching and fun designs. Disney Goodnight Blackout Collection – designed with use in children’s rooms in mind, 18 gorgeous designs featuring much loved Disney characters, made using no dangerous chemicals.